Following their Comic-Con announcement of the new ongoing Judge Dredd comic’s creative team, US publisher IDW Publishing has announced expanded and refined plans to offer new editions of beloved Judge Dredd material as well. 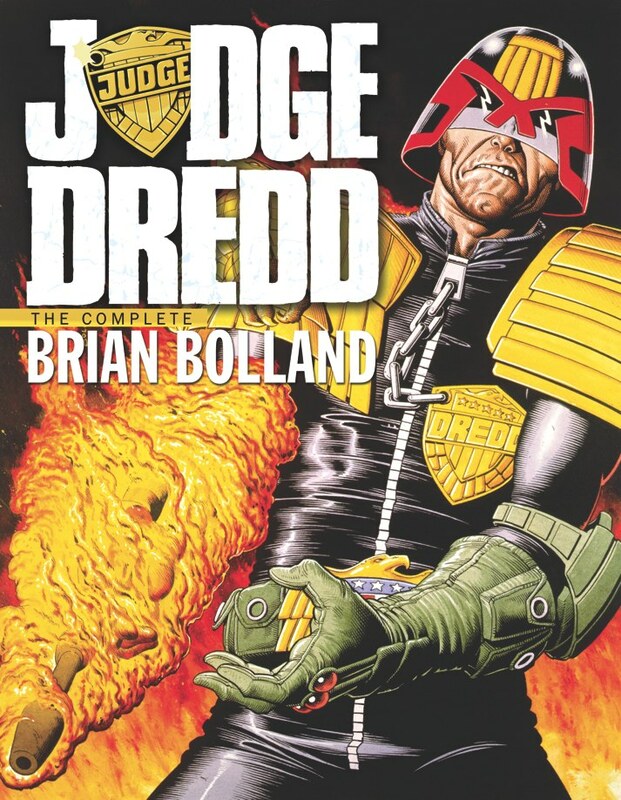 Once again showing a willingness to tailor books to fan requests, IDW’s first hardcover collection of classic Judge Dredd comics, Judge Dredd: The Complete Brian Bolland, will first appear as a fully black-and-white edition, presenting crisp, clean, and stunning pages of Brian Bolland artwork as they first appeared. Bolland’s amazingly detailed linework will be on full display in this oversize hardcover edition. Owing to the TMNT model again, IDW is also preparing to give the fans of coloured art a chance to experience this artwork in full colour as well. Charlie Kirchoff , who has done such a superb job re-colouring Doctor Who stories by Dave Gibbons, John Ridgway and others will tackle Bolland’s Judge Dredd material for the monthly comics. This ongoing 32-page comic series will also see all-new colours applied to classic work by Carlos Ezquerra, and many other fan-favourite artists. “I first experienced Judge Dredd in the form of the Eagle Comics reprints from the early 1980s, so it’ll be fun to pay that forward and let a new generation of readers also experience that material in monthly color comics, albeit with the benefit of 21st century coloring and printing techniques,” Ryall said. IDW has other archival Judge Dredd projects planned to complement the full slate of 2000 AD/Rebellion books, in the form of hardcovers that collect the work of other beloved Judge Dredd artists, Treasury Edition-sized comics, and some other special things other than the new ongoing series, which launches in November alongside the Brian Bolland collection. Whatever your preference for Judge Dredd material, there’s no doubt justice will be coming your way in late 2012 and beyond. • Judge Dredd: The Complete Brian Bolland ($49.99, 248 pages, B/W, HC) will be available in November 2012. Diamond order code: APR12 8054. ISBN 978-1-61377-488-5. Commandos by Air, Land and Sea!